The theme of this week’s WordPress Weekly Photo Challenge is SHADOW. How about a self portrait! Am I really that tall? Well it’s not Daddy Long Legs. I was smiling when I took the photo. Thanks. Great idea for this weeks photo Challenge. Thanks. I think about a dozen others had the same idea. Great minds???? Love your selfie. I also did one, but cannot recognise myself in it. Thank you, Hester. I thought I was being so original, but as you know we were not alone in doing selfies. I can remember so many beautiful shadows, but yours was really impressive. 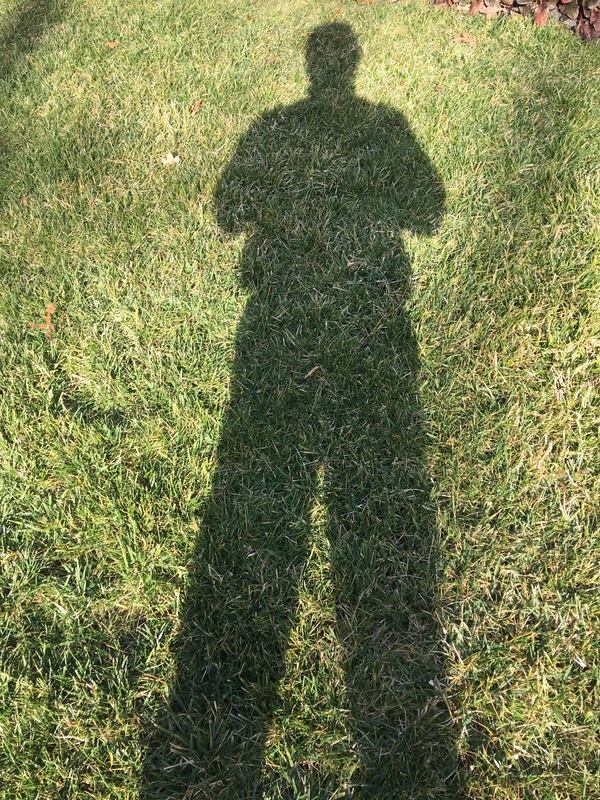 Shadows do tend to lend another element to reality. Very kind of you, Beth. Thanks. I hadn’t realized just how long they are. I have done that before at my son’s baseball game. Ugh. But it does look kind of cool. Especially when you are leaning over a fence.